Wow! 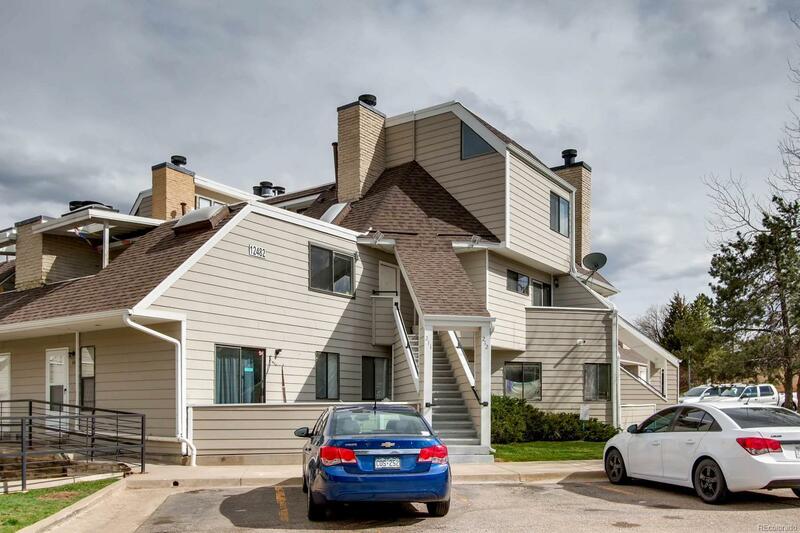 A 2 bed 2 bath updated condo with fantastic views of Green Mountain under $200,000 in a great location! Open floor plan on the main level including kitchen, dining, living room with wood fireplace and tile surround, 1/2 bath, washer, dryer and balcony. Upstairs features 2 bedrooms and a full bath. Bedroom #1 is spacious with vaulted ceiling, ample closet space and views of Green Mountain. The second bedroom also includes views of Green Mountain from the private balcony. You will love the tasteful updates including wood laminate flooring throughout the condo, travertine tile in the entry and fireplace surround, kitchen, baths and nice neutral paint colors. One reserved parking space in front of unit. Great location! Close to shops, grocery stores, restaurants, trails and the mountains. Only 2 miles to the Federal Center Light Rail Station. Easy commute to 6th Ave., C470 and Downtown Denver.